Public schools may not promote a Christian worldview, but educators can still preach Christ by what they do and how they do it. In my first two years of teaching I had such a strong desire to excel that I failed to grow in the most important area: my faith. I spent countless hours writing lessons plans, setting up my classroom, grading assignments, and more. What I didn’t do was make time for the Lord or His people. It didn’t take long for me to descend into sadness, frustration, and anger as a result of my spiritual starvation. Only the example of several Christian teachers and friends to reminded me that my first priority was to God and that my life was a living example (or non-example) of that. But how can Christians be living witnesses in public schools which do not allow overt expressions of faith? Christians should use words to witness to the reality of Christ whenever possible. “How are they to hear without someone preaching?” (Rm. 10:15). But public education in this country is teaching a secular humanistic worldview that limits Christian expression. And much of what it considered foundational in this philosophy is antithetical to the Gospel. But even though legislation prevents verbal and explicit expressions of Christianity, believers can still witness to Christ by the way they live. Here are three practical ways Christian teachers can witness in public schools. The Christian concept of the Sabbath is desperately needed in most professions, and teaching is no exception. Most teachers frantically lesson plan on Sundays in preparation for the mania of Monday. You will quickly attract attention if in contrast to the frenetic rush of others you take time to go to church, call family and friends, pray, and relax on the Sabbath. By doing so you remind people that on the cross Jesus said “It is finished.” The most important work in the universe has already been accomplished so you, and everyone who believes in Christ, can enjoy rest. Our work doesn’t save us. Christ’s work on the cross does. The Teacher’s Lounge breeds toxic talk. Where two or three teachers are gathered gossip is almost guaranteed. The principal, parents, students, and anyone else who happens to frustrate you are all fair game. A Christian should gently and politely distance himself from such conversations. James makes it clear that we should watch our mouths. “And the tongue is a fire, a world of unrighteousness. The tongue is set among our members, staining the whole body, setting on fire the entire course of life, and set on fire by hell” (Js. 3:6). What’s more, Jesus tells us that what we say reveals our hearts. “For out of the abundance of the heart his mouth speaks” (Lk. 6:45). As Christians strive to be pure in heart, their speech should follow. Your co-workers may consider you stand-offish if you separate yourself from gossip. But Peter already warned us of this (1 Pt. 4:4). However don’t be self-righteous about your convictions in this area. The reality is Christians get just as fed up as anyone else, but we should know how easily we ourselves are tempted to be overly critical. Instead strive to pray about any complaints you have and go directly to the person whenever possible. High-stakes testing fuels a performance-driven culture. Bonuses, job security, and prestige get wrapped up in the little bubbles that students fill in with #2 pencils. Teachers realize how much is determined by these assessments and begin to place their self-worth on the outcomes. And their anxiety about the results play out in all sorts of damaging ways–caffeine addiction, over-eating, over-exercising, sleep loss, sexual exploitation, depression, alcoholism, and more. In contrast to the nervousness many teachers exhibit over testing, Christian teachers should display a healthy realism. Yes, these tests matter. But they do not determine one’s significance. Christians should rest in their identity as children of God who are loved and accepted whether the tests go well or poorly. They can push their students to excel, but not fill them with unnecessary apprehension. They can strive for excellence knowing that their Father in Heaven is pleased with their efforts but He does not make salvation contingent upon a certain passing percentage. 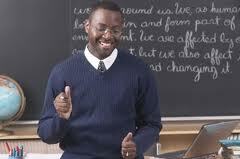 Most of the suggestions above are simply good habits that every effective teacher employs. You’ll find plenty of non-Christians who do some or all of these things, but the difference is Christ. A believer’s motivation flows from the Gospel so they have a different source and goal fueling their behavior. Christian teachers can take a Sabbath day’s rest because their Savior not only took a Sabbath but was the Lord of it (Mt. 12:8). Believers in the classroom can refrain from gossiping because they worship a Lord who did not curse His enemies but loved and prayed for them (Mt. 5:44). And Christian educators base their identity on something greater than a standardized test because the Messiah always acted consistently with His Father’s identification of Him, “This is my beloved Son with whom I am well pleased” (Mt. 17:5). Through faith in Jesus Christ, Christian teachers can be Gospel-empowered educators who live as salt and light in their classrooms. Although you may not be able to to say much about Christ verbally, you can and should practice your craft in such a way that your students, co-workers, community members and families detect the aroma of Christ. love reading your blogs. I really appreciate your articles and this one I’m definitely passing on to my teacher friends. Thanks! Thank you so much for the encouragement. You probably have plenty of responsibilities tugging at you, so I truly appreciate you taking the time to read and interact. Nice what you do, but it’s only half. We are commanded to give the gospel (How to be saved). Many teachers do not witness to students for fear of losing their job/money. The gospel message is integrated in a lot of History. Joseph, are you a teacher? If so then how do you give the gospel to your students? I ask in genuine interest as I am training to be a teacher and cannot come to grips with how to do this. We do run the risk of loosing our jobs and if I believe, as I do, that God has called me to be a teacher then how can I behave in a manner that will jeopardise that? Plus how do you witness in a way that is truly meaningful and helpful to the children in your class who may have critics at home waiting to rubbish any teaching they repeat?